The Photoflex 9-in-1 Multi-Disc with Holder and Stand Kit offers a convenient way to adjust the lighting for various photographic scenes. 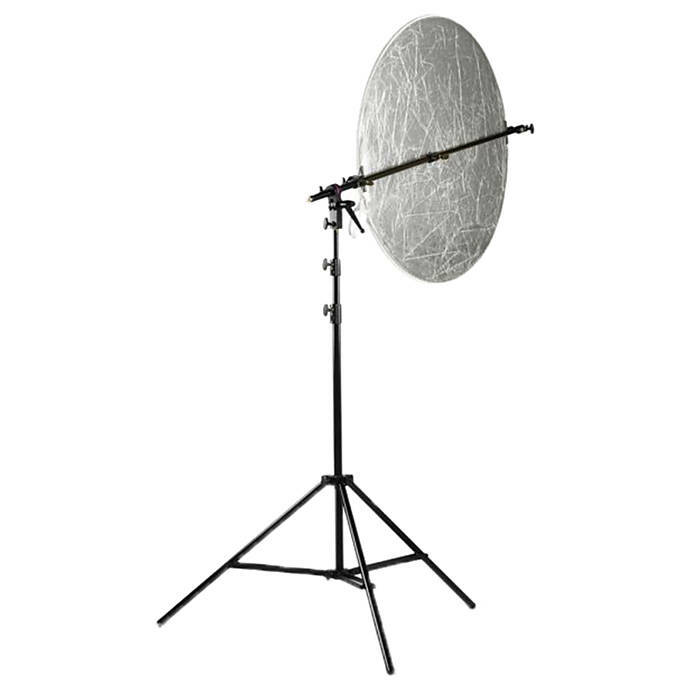 The kit includes nine reflector fabrics, a disc holder, and a light stand. All the reflector surfaces are laminated and ensure uniform light reflection due to their flat and smooth surfaces. They can be easily zipped on and removed from the disc. The nine colors of the fabrics are Translucent, SunLite, White – Warm, White – Cool, Silver – Matter, Silver – Shiny, Black, Gold, and Soft Gold. These offer the needed light effect on subjects, suiting the scene at hand. The included stand frame is double riveted to prevent breaking and bending.